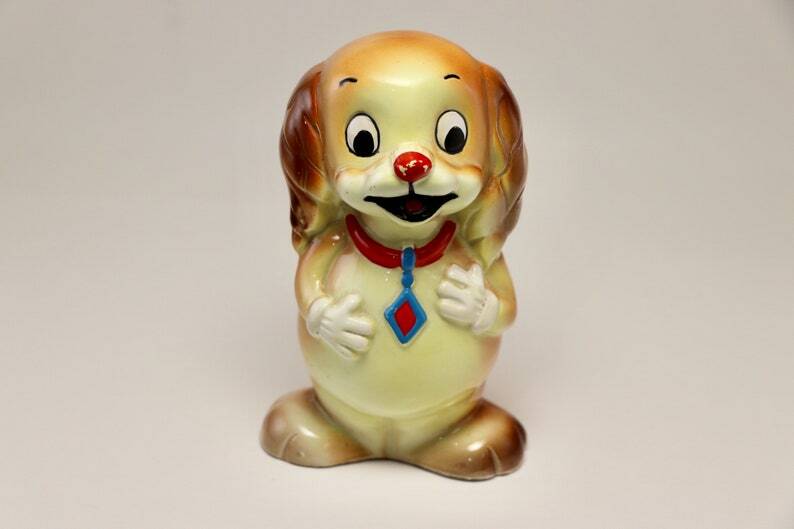 Here is an adorable ceramic dog money bank made in Japan in the 60’s. This puppy dog has a red nose and is wearing a collar that resembles a tie. He is in good vintage condition with no chips or cracks, there is a bit of ware on the paint on the tip of his nose and the stopper on the bottom is missing. Stamped Japan on the bottom and stands approximately 5 1/2” tall.